Our Collection Imager Geoff Thompson recently won several awards at the Australian Institute of Medical and Biological Illustrators (AIMBI) Awards 2013 and we’re very happy to be able to share some of his work with you here! Gold Award winner and winner, Best Overall Biological Photo. 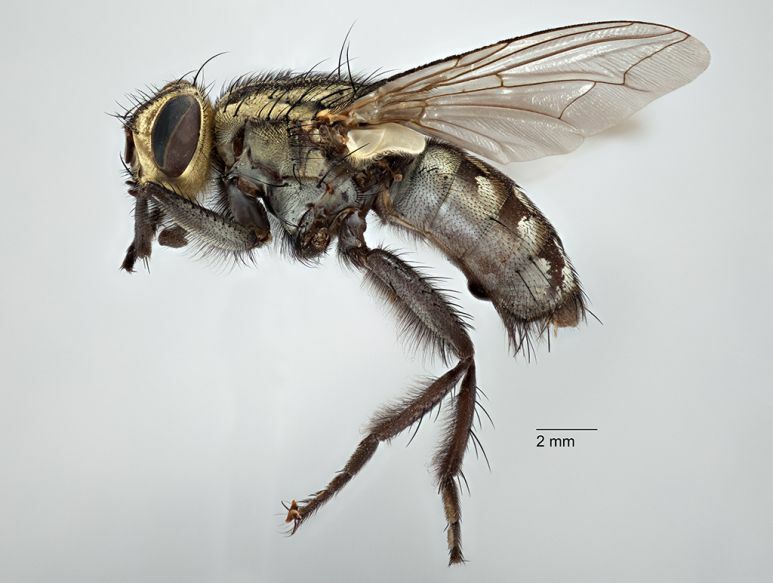 The definitive specimen, Holotype (QMT2351), of a flesh fly Sarcophaga alpha, described using this specimen by Johnston and Tiegs in 1922. Visionary Digital image, Canon 5D MkII, focus stacked with Zerene. 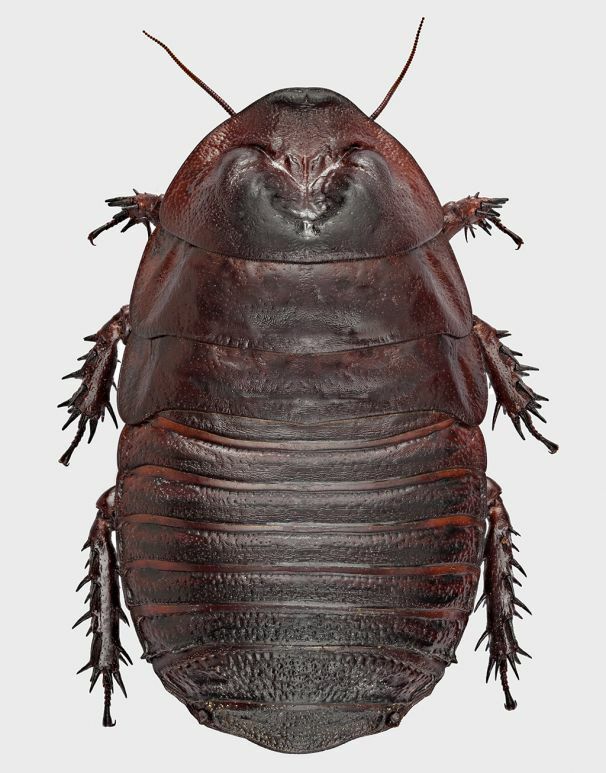 A new species of giant cockroach, Macropanesthia sp.,Visionary Digital image, Canon 5D MkII, focus stacked with Zerene. Pin and dust removed with Photoshop. Silver Award winner. 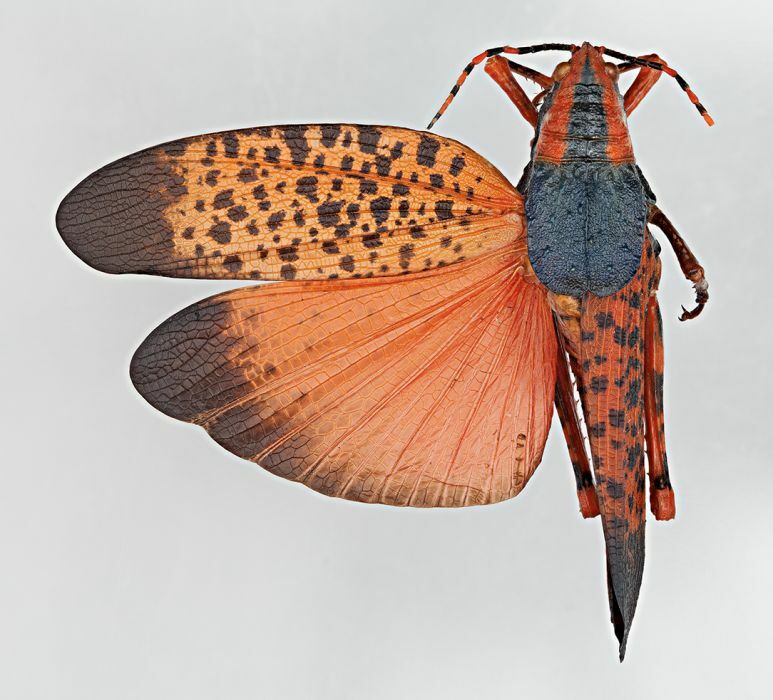 A specimen of Leichhardt’s Grasshopper, Petasida ephippigera, from the Northern Territory. Collected in the 1970s by the late Ross Storey. Visionary Digital image, Canon 5D MkII, focus stacked with Zerene. Pin and dust removed with Photoshop. Gold Award winner. A parasitic Tachinid fly. Hasselblad H4D-200MS 120mm with extension tube taken in 6-shot, 200 megapixel mode and focus-stacked with Zerene. Pin and dust removed with Photoshop. 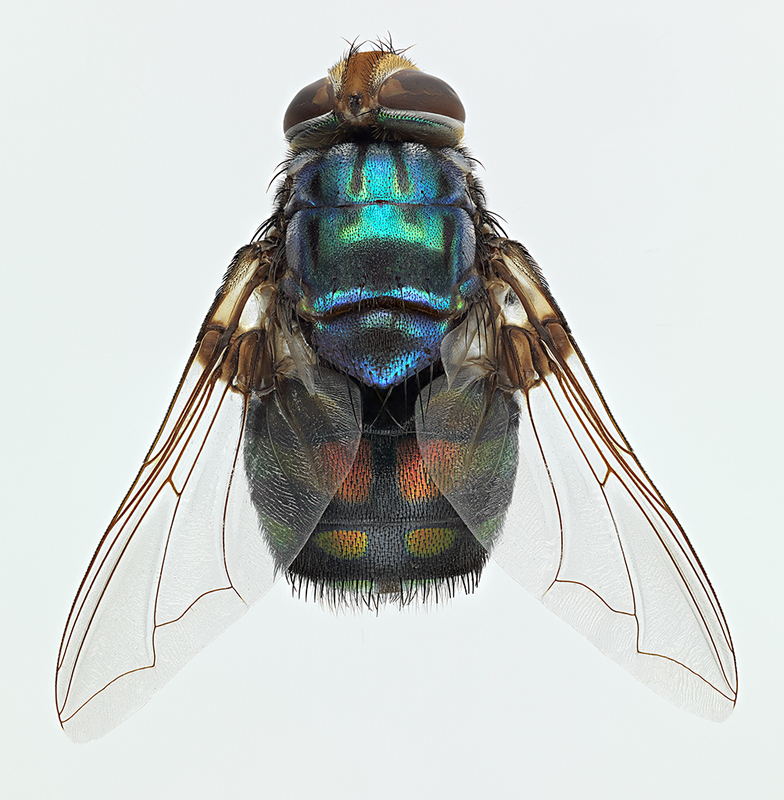 More of Geoff’s work can be seen on our website, where you can take advantage of the features that allow you to zoom in and see some of the incredible detail on the specimens he has photographed.